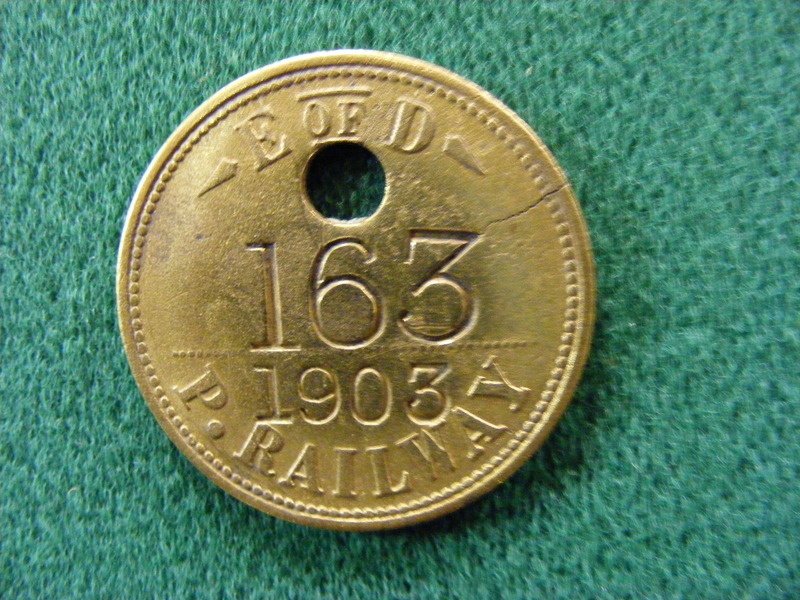 Paycheck from the railway which once served the coal and iron industry, notably Round Oak Steel Works, Brierley Hill. Known also as the Earl of Dudley railway as most of the eventual 40 miles of track was situated in the Dudley Estate, and at one time linked Old Hill, Cradley, Dudley, Himley, Wall Heath, Dawley Brook and Ashwood. By the 1960s the only portions in use were the line to Baggeridge Colliery and the tracks around Round Oak Steel Works linking scrap bays, ancillary factories and works stores. Built entirely for the movement of coal, etc. the only times a passenger service operated was on odd occasions when the Earl of Dudley took invited guests on a ‘jolly’ and on the few days per year of the annual Himley Fete and this only during the period 1928 to 1937. Destination ticket for an empty coal wagon. 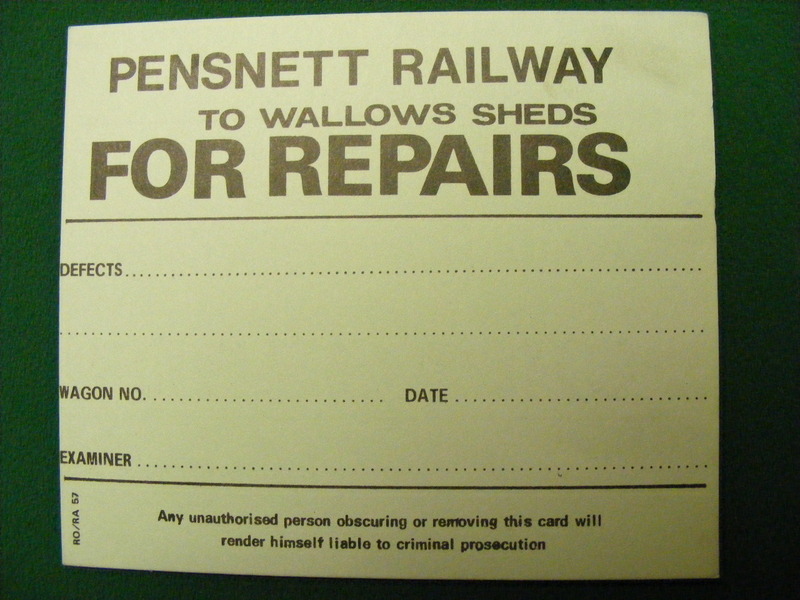 Card with instructions for repairs to coal wagon. 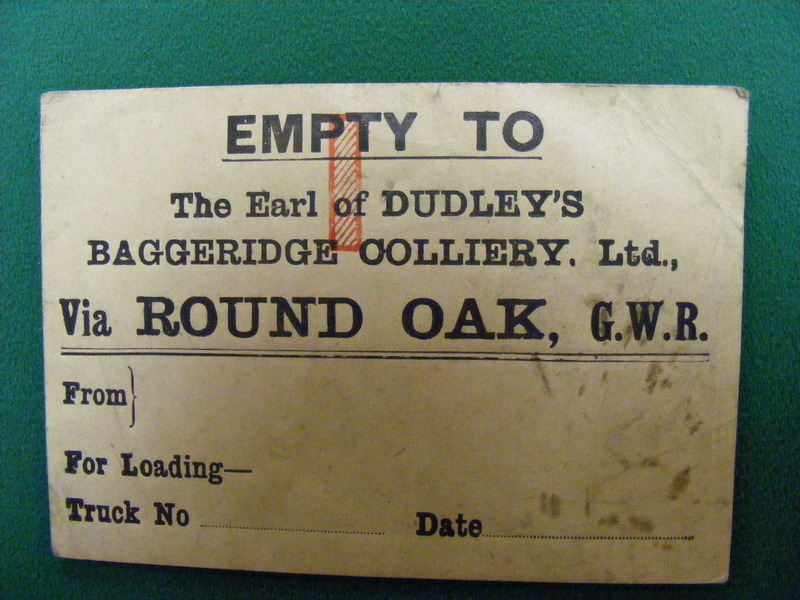 This entry was posted in Museum Exhibits and tagged Coal Mining, Earl of Dudley's Railway, Mining Heritage, Museum Collection, Old Railway Lines, Pensnett Railway, Steam Trains, Wolverhampton. Bookmark the permalink.